Well, is it? We have seen mentions of a white Nexus 4 on retailer sites like Carphone Warehouse, but to date, we have yet to see a real picture of one. According to PhoneArena, who anonymously obtained the photo above, the picture was taken with an LG Optimus G – not that that confirms anything. If real, it looks amazing. What we can see is a semi-sparkly Crystal Reflection back along with the camera, flash, and Nexus logo in the correct spots. You can also see the plastic rim around the device, just like we have on the black version, though this one is obviously white. Nothing in particular stands out that would lead us to believe that this is fake, so for now, we’ll go with it. 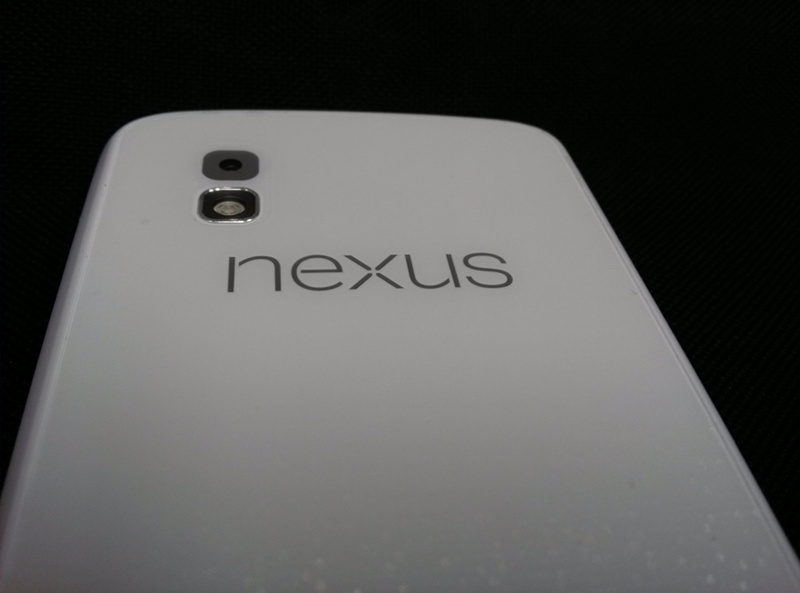 We’ll also ask, “Where the hell was this at launch?” I’d love to get a hold of the white Nexus 4 if it looks this pretty.